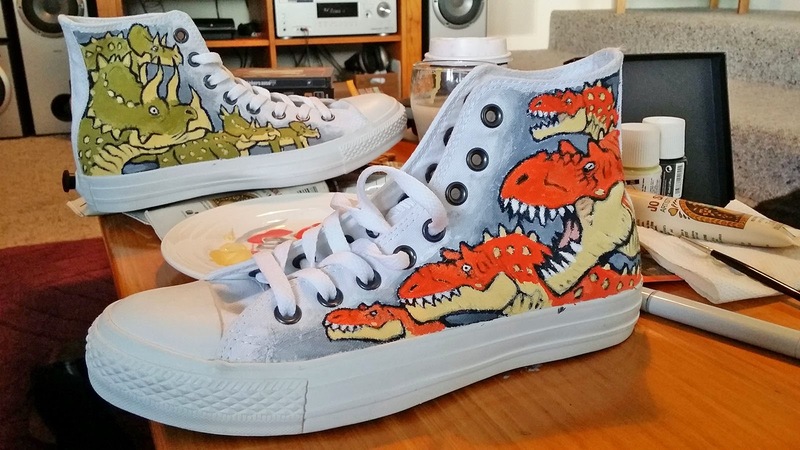 Project Fiver: New Auction : Dino Chucks by Weta Artist Greg Broadmore! New Auction : Dino Chucks by Weta Artist Greg Broadmore! We are pleased to present an incredible item for Project Fiver: A pair of Dinosaur Chucks by Weta Workshop artist and "Dr. Grordbort" creator Greg Broadmore!